3DX-RAY designs and manufactures a range of innovative security solutions for the security market, including baggage, vehicle and portable x-ray scanning systems. At Intersec Dubai we will be launching the latest FlatScan-2 systems. 3DX-RAY is the original designer and manufacturer of the FlatScan technology. FlatScan-2 will uniquely be offered with a 3D imaging module. 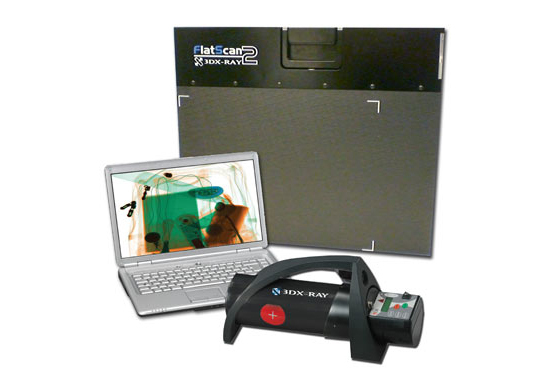 The FlatScan-2 also offers a significantly increased penetration of up to 40mm and this ability to see through dense objects, coupled with a 50% improvement in image quality, provides the user with a huge improvement in their portable imaging capabilities. 3DX-RAY offers the SVXi and AutoScan-D for x-ray screening whole vehicles. The SVXi is a self-contained mobile system which can be operational in 15 minutes. The AutoScan-D is a drive through deployable screening system.